Sukhinder Singh Cassidy is a leading consumer internet and media executive with over 18 years of leadership experience at global and early stage companies including Google, Amazon, Yodlee, Polyvore, Joyus and News Corp.
From 2011 to 2016, Sukhinder founded and served as CEO of online video commerce platform Joyus. Prior to Joyus, Sukhinder served as CEO of leading fashion platform Polyvore, and as President of APAC and LATAM at Google. From 2003-2009, Sukhinder built Google’s fastest growing region into a multi-billion business spanning 18 offices and 103 countries. From 1999-2003 she served as Founder and SVP of Business Development of Yodlee, the leading data platform for personal consumer financial applications. Earlier in her career Sukhinder served as an early employee at Amazon.com and Analyst with Merrill Lynch and British Sky Broadcasting. Sukhinder has been named one of the Top 100 People in the Valley by Business Insider; one of the most Creative People in Business by Fast Company; a “Woman to Watch” by Forbes, Fortune and Ad Age; Techcrunch’s first General Management Fellow; and one of the Top 100 Women of Influence in Silicon Valley. Sukhinder is currently a board director at Ericcsson and TripAdvisor. She previously served on the board of J. Crew Group Inc and as an advisor to Twitter. Her previous board work also includes private and non-profit boards including: Stitchfix, J. Hilburn, Princeton University’s Computer Science Advisory Council, as well as Jobtrain. 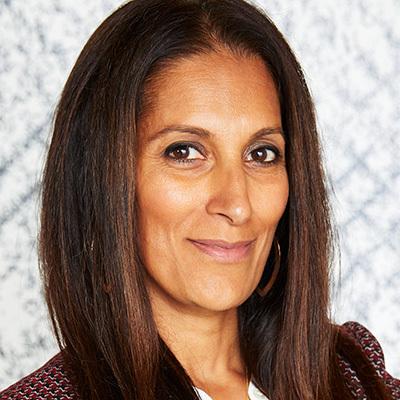 In 2015, Sukhinder founded a new social enterprise platform – theBoardlist, a premium talent marketplace aimed at connecting highly endorsed women leaders with board opportunities in the tech industry. With a community of over 2000 leading CEOS, senior executives, venture capital firms and women leaders, theBoardlist has been featured in numerous publications including: The New York Times, Fortune, Forbes, the Wall Street Journal, Wired, TechCrunch, Fast Company, and USA today. An exclusive luncheon for the women running and rocking retail. Limited availability for retailers only.